We work on a variety of development planning projects across a range of sectors, both domestic and commercial and the following are just a small selection of current projects. We are confident that any project, big or small, will be executed to our very high standards. 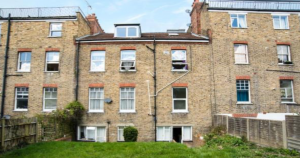 An assisted sale of a property that the owners have struggled to sell for the past year. 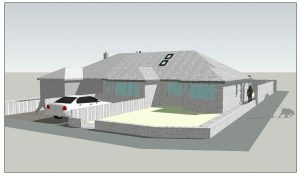 We will be taking control of the site (but not buying it), undertaking and funding the project ourselves which will consist of a full refurbishment of the existing property and carrying out a new build of a property on the adjoining land. Timescales for this are 9-12 months, and the aim is to have both units sold by October 2019. This was an 11-bedroom illegal HMO (i.e. it needed a licence and one was never applied for, therefore should never have been an HMO) that had been operating for many years in this way. It had changed hands a couple times and fell into disrepair and was subsequently vacant. 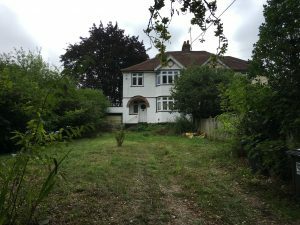 This property is a 3-bed semi-detached property in need of full refurbishment located in Berkhamsted, Hertfordshire. We had plans to undertake the refurbishment ourselves and had full financing in place, but our plans changed after a prolonged probate, which provided us with a nice quick profit. We are constantly on the look out for new opportunities in the form of empty properties (residential, commercial and retail) as well as vacant land across Berkshire and surrounding areas, so please get in touch if you have or spot something of interest, we will pay a generous referral fee for any successful acquisitions. © Masters Property Group. All rights reserved.